IoT has transformed the way communication service providers operate their business today. This is a result of the huge amount of opportunities that IoT brings along, not just in terms of the scale of investment for the businesses but also the global impact it creates. Companies have started to identify the potential of IoT and the data generated by it in reducing cost, improving supply chain efficiencies, enhance product design and allow predictive maintenance. Governments have also identified the transformational potential of this technology and are looking at opportunities to reshape the industrial policies in order to ensure that national industries maintain competitiveness and to understand the level to which regulations need to be modified or adjusted to address issues such as individual privacy and data security. IoT emerged from combination of technologies that have been undergoing continuous development in the past decade. The combined effect of all these technologies fueled the growth of the IoT domain. The use of the word "domain" symbolizes the coming together of technologies and markets, which create exponential outcomes that can be referred to as the "Fourth Industrial Revolution" by some. Forecasts have suggested that the number of connected devices will be between 20 and 50 billion by the beginning of the next decade, with growth in business in trillions of dollars. The impact of IoT will be felt across every aspect of life as we currently experience it. The continued development of smartphones, tablets and wearable technology would allow these devices to be the remote controls for the smart systems that will be found in workplaces, homes and smart cars. Apart from all this, security is also becoming more significant with the use of large number of unsecured IoT devices. In the enterprise and industrial space, there is increased focus on the need for rapid localized decision-making for devices that rely on constant information feedback. Most of these decisions take place at the edge of the enterprise, which is also where business interacts with the edge of the wide-area network. However this comes with several challenges, in order to facilitate rapid decision-making, the enterprise has to be able to identify, address, authenticate, manage and secure a broad range of devices, many of which have differing address mechanisms as well as communications and operating protocols. By 2018, IoT is expected to become mainstream for most cloud service providers (CSPs). This would coincide with the timeframe when fully commercial market introductions of 3GPP standardized low-power wireless technologies are likely to occur. These technologies cover a range of different use cases and can be deployed in several different ways, either standalone or in-band using existing LTE resource blocks that provide mobile operators with significant versatility to address emerging IoT opportunities. There are significant challenges that CSPs have to face while serving the emerging IoT markets. First, it is not a single market nor is it a static one which puts pressure on the CSP's network to be as cost-effective and efficient as possible. In the case of industrial and enterprise IoT, together with smart cities, the diversity of segments and applications means that very few "one size fits all" solutions can be developed and repeatedly deployed. In addition to this, MNCs expect specific solutions deployed across all of their global operations, requiring the solution to meet local requirements, and CSPs to handle all of the connectivity and service interoperability challenges. 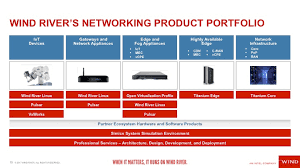 The virtual edge is a major focus for enterprise customers seeking to understand the implications of fog computing on their operational performance, network options and hardware requirements. In the same 2015 operator survey, discussed their opinion on where IoT intelligence and analytics will reside within the network (Figure 2), intelligence in the network definitely seems to be shifting away from the center. Overall, there is a lot of optimism about the potential of IoT, but few CSPs have formed concrete plans, and still fewer have implemented them. Analytics and intelligence play a prime role going forward, both from a network operations perspective and as a service to customers. However, the way in which this is organized, serviced and delivered is still very fluid. 5G is very important from a service provider perspective, as it is about seamless management of heterogeneous networks across multiple frequencies, and obviously the efficient handling of huge amounts of data traffic and storage. Network slicing, which will be a key enabler of IoT, is in the early stages of implementation in LTE, and is a core component of the 5G vision, since it enables "the many services on one network" concept. There is a degree of wishful thinking going on in the mobile industry, with laggard operators believing that they can go into IoT catch up mode at a later date, and still win. If they do this, they will almost definitely miss the IoT window of opportunity. 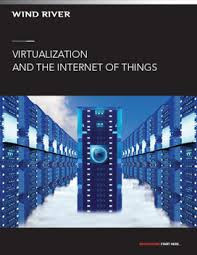 One of the most significant requirements is for operators to have a virtual core as a mechanism to accelerate IoT services. Too many of them are still apprehensive about embracing this technology for IoT; consequently, this will prove to be a barrier to their success. Many are trying different approaches, including hybrid setup, and it appears now as if the two IoT industry leaders – Vodafone and AT&T – are the only ones with a clear line of sight. If service providers embrace virtualization – including the virtual core and virtual edge – they will be able to move beyond connectivity and provide other services. Other services could include managing the portfolios of devices, applications and services going forward, or providing endpoint to cloud security, which most enterprises don't have the capacity to do. Operators could also deliver integrated analytics capability, and data management: where it is stored, how it is tiered and what portions are transmitted. Additionally, there is the possibility for end-to-end carrier-grade enhanced applications and tailored capability.